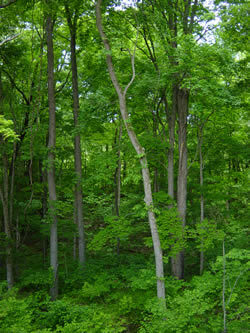 Located in Shawnee National Forest. 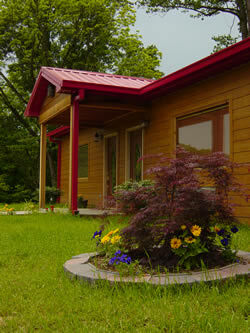 Centrally located along the Shawnee Hills Wine Trail. 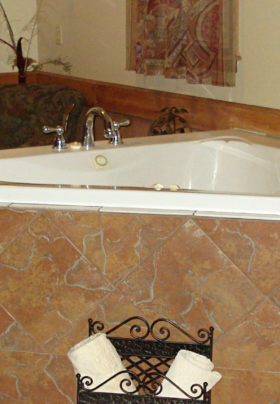 Amenities: 8 person Hot tub, limited handicapped/wheelchair access; Other meals upon special request; Blue Boar Restaurant located 1/2 mile from Boars’ Nest Bed & Breakfast. 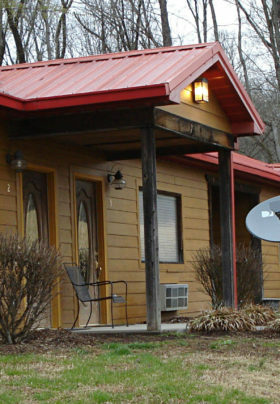 Full menu/bar; Guests at Boars’ Nest Bed & Breakfast receive 10% off meal (excludes daily/nightly specials and alcohol); No Pets; Television in room; Whirlpool/spa in Cabin 1.